Most church leadership principles focus on how to prepare your church for numerical growth. That’s an important aspect of leading a church, for sure. One I want to learn more about. 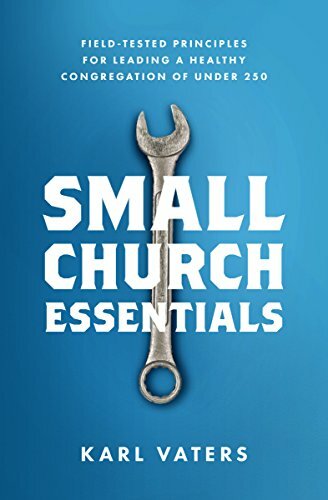 Small churches can teach us lessons about ministry that can help us lead better in any context. Small companies are fueled by passion, innovation and risk-taking. Small churches should be, too. Some lessons come easy. Some lessons come hard. For many, maybe most of us, the practical financial lessons of ministry often come hard. We learn by doing – and by making mistakes. I wish I was the exception to that rule, but I’m not. No one wants more heartache, more tragedy, or more loneliness. Unless you’re trying to write a hit country song. This may be the biggest reason great ideas die too soon. We’re creating buzz, but we’re not building substance. If you have a message, idea or product you want the world to know about, there’s never been a better time than right now to build the platform for it. If we want to become better leaders we need to have good feedback. And to get that feedback, we need to find and listen to better critics. Longevity builds trust, which gives people a better perspective on what does and doesn’t really matter. Pastors seem to be staying in their churches longer now than they did in previous generations.